Can You Create the Lawn of your Dreams with a Sod Installation? A neglected lawn can quickly turn into a barren wasteland and that’s just not what you want! The problem is that Orlando lawns can take a very long time to grow even if you fertilize the soil and plant the grass. Most perfect lawns you see are the result of years or even decades of work, but what if you could speed it up a little? Good news: you can. Breath ability –If you are familiar with the way plants work then you already know the score: having more plants means more oxygen and a lawn is no exception. You’ll wake up feeling better, you won’t have as many sore throats, and you’ll be happier overall. Safety – Do you have kids? If so do you want them playing on the hard ground or a soft lawn? The answer is easy here. Property Value –Having a great lawn can lead to a great property value even if you’re never planning to sell. It’s always nice to know that your property can make a huge impact and lead to a huge profit if you ever need to move. So, what is sod? Why is it something that you would want? To start, we did mention that grass can take years to grow and that can become a serious problem for you if you want that lush green Orlando lawn right now. 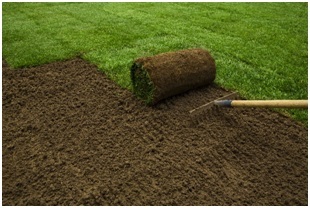 It will always take years to grow the grass but the idea behind sod is that it’s already been done for you. 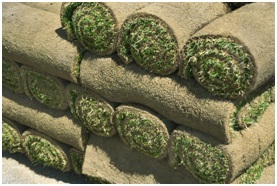 The grass is grown off-site on dirt that can simply be rolled up and delivered to your house. Once your lawn is properly treated and prepared for the sod installation the rolls can be laid out and they will effectively become a part of your yard. While they take a few weeks to fully set, once they have, you won’t even notice that they weren’t a natural part of your yard; that’s the beauty of it all. You can get the yard you want instantly without any of the work so long as you keep up on the maintenance and make sure that the space is properly irrigated. Taking care of your lawn is a priority and making sure it is presentable, even more so. There are a lot of things that you can do for your yard to bring forth a desirable ambiance and really show off your sense of taste. Say for example you want to light up your swimming pool to make it not only more accessible, but more beautiful. Proper lighting will make the entirety of your lawn more useful and our company has exactly what you need. High quality lighting will take your landscape and hardscape designs to the next level. Though it might not seem like much it truly does add another layer to your carefully thought out designs by highlighting the most important parts and adding accents to other parts that you might not want to draw the most attention to. For more information give us a call or request a free quite right here on your website. Bottom line: the perfect lawn is within your reach and with our services you can make it a reality.